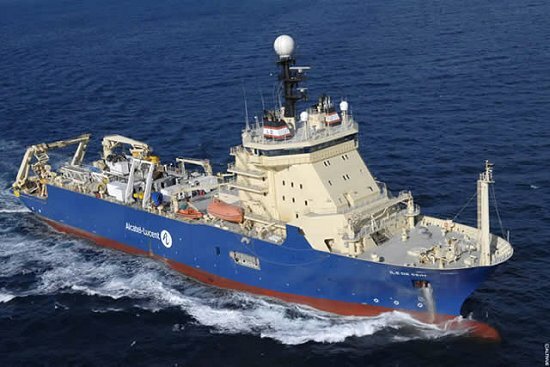 Nokia’s Bell Labs together with newly acquired Alcatel Lucent Submarine Networks has managed to push 65 Tbps of data through one fiber optic cable 6.600 km long. This amount of data per one optic fiber is equivalent to the 10 million HDTV channels streamed simultaneously, what Is 13000 times more that the capacity available on the first transatlantic cable that was installed back in 1995. Till now we were able to push around 50 Tbps of the data through existing cable infrastructure. The submerged cable is specially designed for the submarine purpose and it has dual band erbium doped fiber amplifiers, which will help extend the capability of transoceanic cable systems to make our surfing the internet smoother. Now we are aware of the whole Alcatel-Lucent acquisition and why Nokia did it. The market is tougher than ever and to survive there you gave to be, as Tina Turner would sing, simply the best.